The tattoo studio is ticking along nicely! 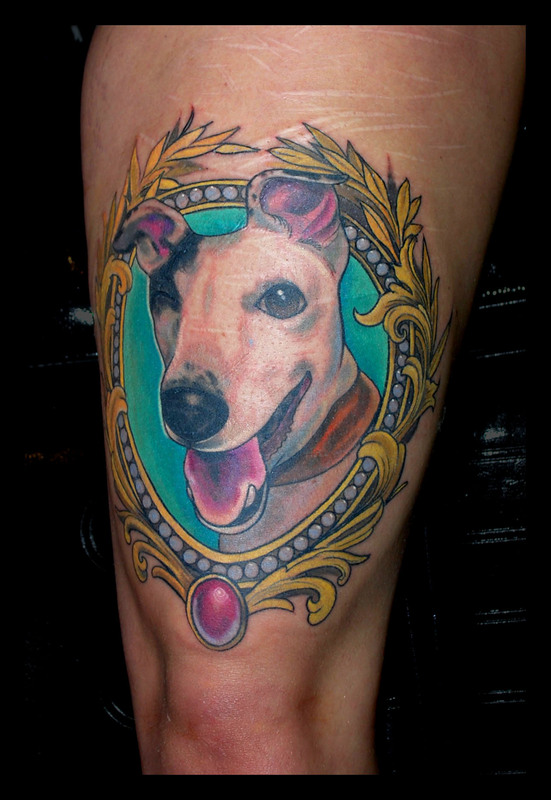 Summer is a very busy tattoo time, for some reason everyone wants to be tattooed when it’s hot! We are doing the Cardiff tattoo and toy convention next weekend which is pretty cool, exciting to be getting out of Oxford for a little while. I don’t have any space but if you’re there swing by and say hello! 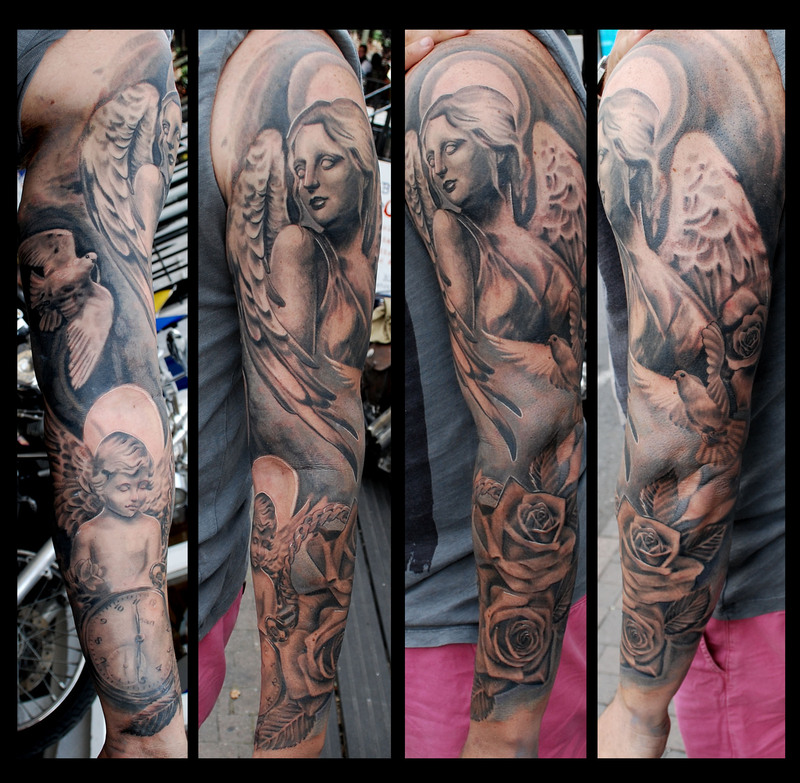 So I finally finished Shaun’s sleeve- only 15 hours in total. 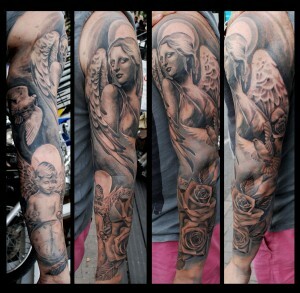 First large black and grey piece I’ve taken on for some time but I absolutely loved doing this. 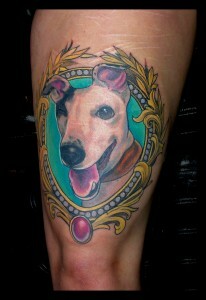 He gave me a lot of artistic freedom with this tattoo! Aaaand last but not least I tattooed little apprentice Briony with this cvlt cat. 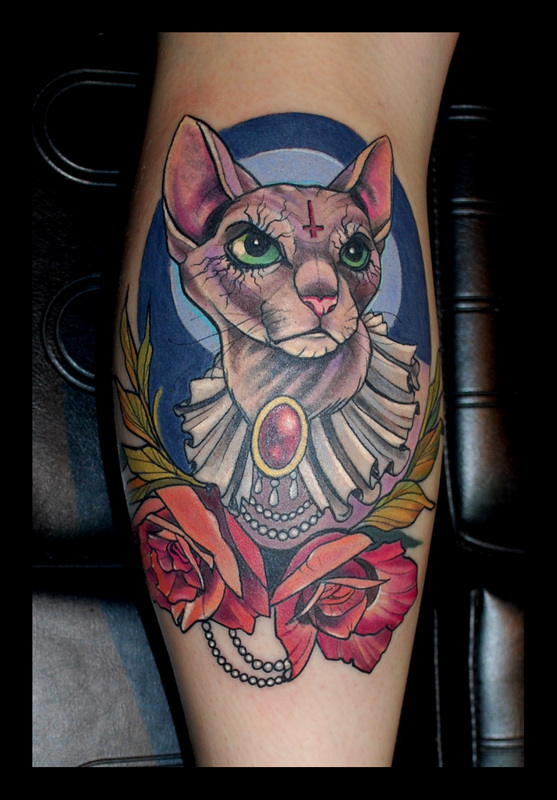 Cat tattoos are wicked fun. 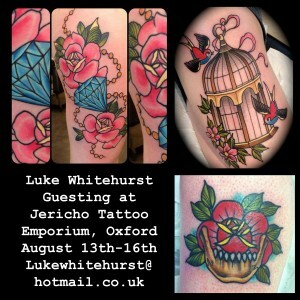 I love being a tattoo artist in Oxford! 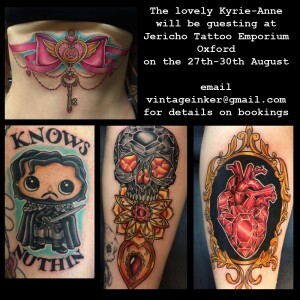 Soo as well as all this fun going on we have another guest tattoo artist coming to Oxford in August! 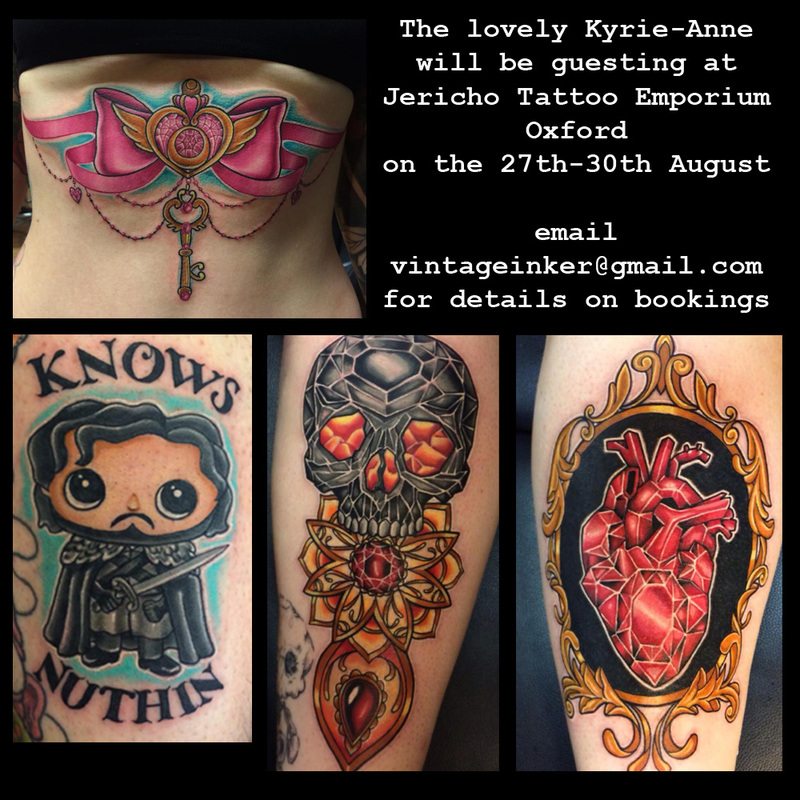 Kyrie Jones will be guesting on the 27th to the 30th of August, so if you want to avoid the drive to Manchester and get something super cute get in contact! 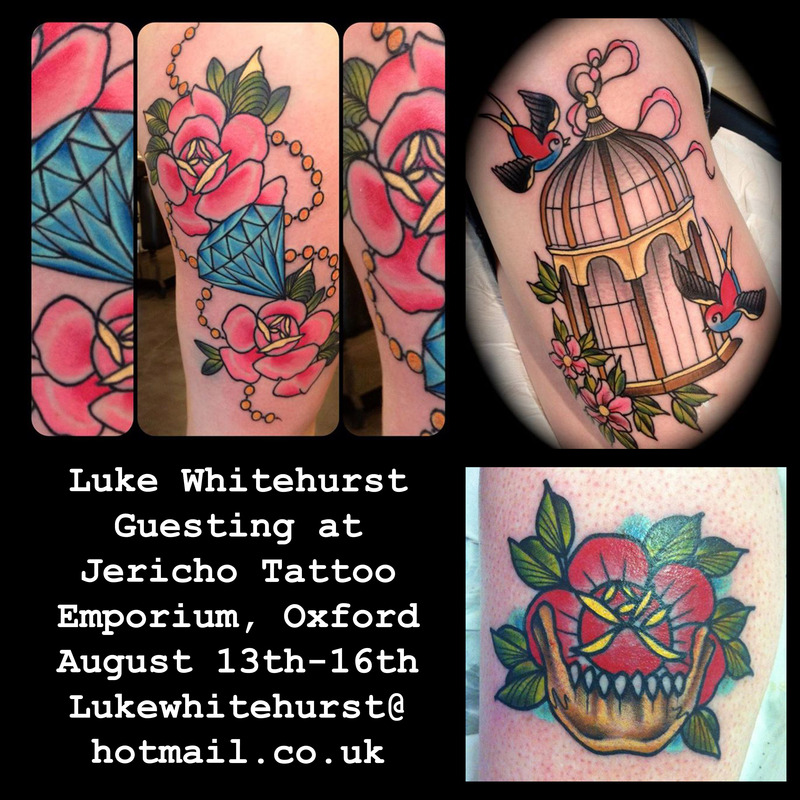 Also Luke still has some space August 13th to the 16th for some tattoos!